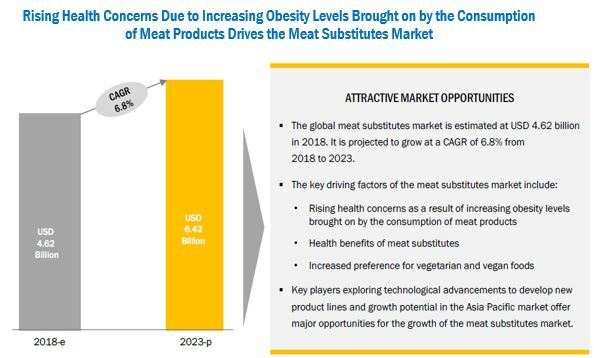 [133 Pages Report] The meat substitutes market was valued at USD 4.33 Billion in 2017; this is projected to grow at a CAGR of 6.8%, to reach USD 6.43 Billion by 2023. The base year considered for the study is 2017 and the forecast period is from 2018 to 2023. The basic objective of the report is to define, segment, and project the global market size for meat substitutes on the basis of category, type, source, and region. It also helps to understand the structure of the meat substitutes market by identifying its various segments. The other objectives include analyzing the opportunities in the market for stakeholders and providing a competitive landscape of market trends, analyzing the macro and micro indicators of this market to provide factor analysis, and to project the size of the market. This report includes estimations of the market size in terms of value (USD million). 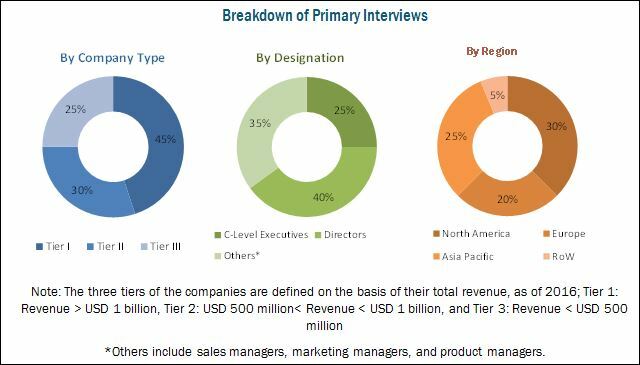 Both, top-down and bottom-up approaches have been used to estimate and validate the size of the global meat substitutes market and to estimate the size of various other dependent submarkets in the overall market. The key players in the market have been identified through secondary research, some of the sources are press releases, paid databases such as Factiva and Bloomberg, annual reports, and financial journals; their market share in respective regions have also been determined through primary and secondary research. All percentage shares, splits, and breakdowns have been determined using secondary sources and were verified through primary sources. The figure below shows the breakdown of profiles of industry experts that participated in the primary discussions. The key players that are profiled in the report include ADM (US), DuPont (US), The Nisshin OilliO Group (Japan), Sonic Biochem Limited (India), MGP Ingredients (US), Garden Protein International (Canada), Beyond Meat (US), Amy's Kitchen (US), Quorn Foods (UK), MorningStar Farms (US), Meatless (Netherlands), and VBites (UK). Further breakdown of the Rest of Europe meat substitutes market into Russia, Belgium, and Sweden. On the basis of category, the frozen meat substitutes accounted for the largest share, followed by the refrigerated meat substitute, in 2017. 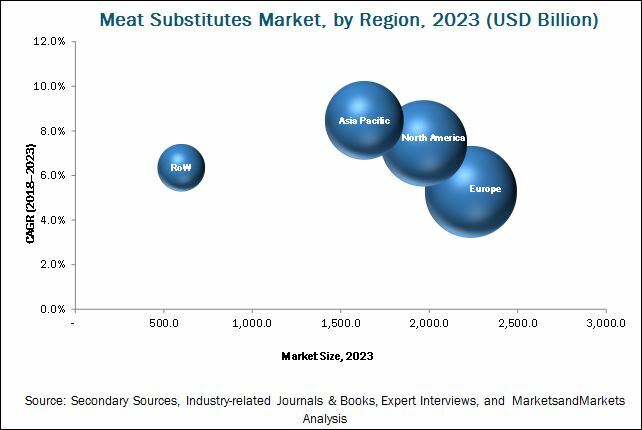 The frozen meat substitutes market is gaining popularity due to changes in purchasing patterns, with consumers moving from small grocery shops to hyper and supermarkets, especially in emerging economies such as India, China, and Brazil. The meat substitutes market, on the basis of type, is segmented into tofu & tofu ingredients, tempeh, TVP, seitan, Quorn, and other soy products that include miso, yaso, and nattô, and other meat substitutes that include risofu, valess, lupine, rice protein, and pea protein. Tofu and tofu ingredients accounted for the largest market share in 2017. Tofu and its ingredients are made from soybean and are a popular choice due to their high protein content and availability. On the basis of source, soy-based meat substitutes accounted for a larger market share in 2017, followed by mycoprotein-based. Consumers are largely attracted to soy-based meat products as soy products have high protein content. Hence, the demand for soy has increased in the meat substitute industry.